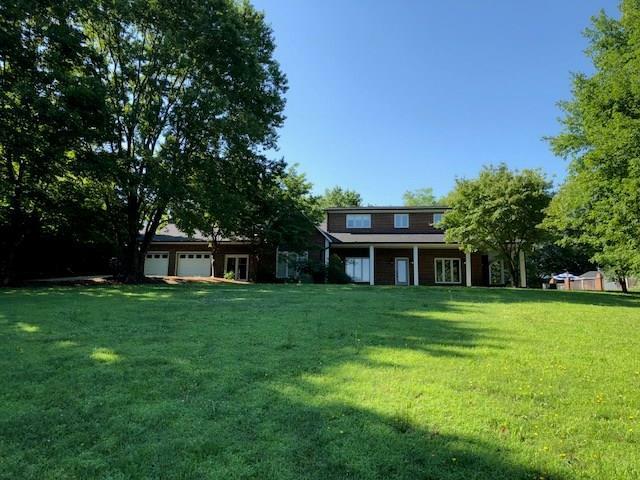 Enjoy the beautiful views of this 3 bedroom home in wonderful location of Hickory. Home sits on 1.85 acres and has in an in ground pool and pool house with half bath. Home features vaulted ceilings and exposed beams, updated lighting, Jacuzzi tub in master, cherry and oak flooring and much more! Must See!